To keep up with all other newly released vehicles, the Honda Odyssey is fitted with a vast array of interior unique features and upgrades in safety to ensure that it is a smooth, enjoyable ride. Being a minivan and all, the Odyssey has enough room for eight people to fit inside, and provide them the comfort of leather seats. The front seats have power adjustable lumbar support and are height adjustable, as well as being front bucket seats, to begin with. The entertainment system comes with several standard features, including regular radio access, satellite radio access, a video monitor, audio, and video remote controls and seven audio speakers, which also comes with a subwoofer. Adaptive cruise control is, of course, a standard feature with electric power steering and all the transmission, audio and cruise control fixed onto the leather steering wheel. Extra storage space comes in the front seatback and overhead console areas. Safety is not taken lightly here, and the first precaution taken is the inclusion of rear door safety locks and seat anchors to keep younger passengers in check. Emergency braking assist is readily installed in the event of a brake failure, as well as ventilated front and rear disc brakes to ensure they don’t dry out. A pre-collision safety system is included in all models to warn drivers of potential accidents, though some models also come with a post-collision system to gauge damage after an accident. Speaking of which, a blind spot and lane departure warning system is available to keep drivers on the road safe from causing accidents. 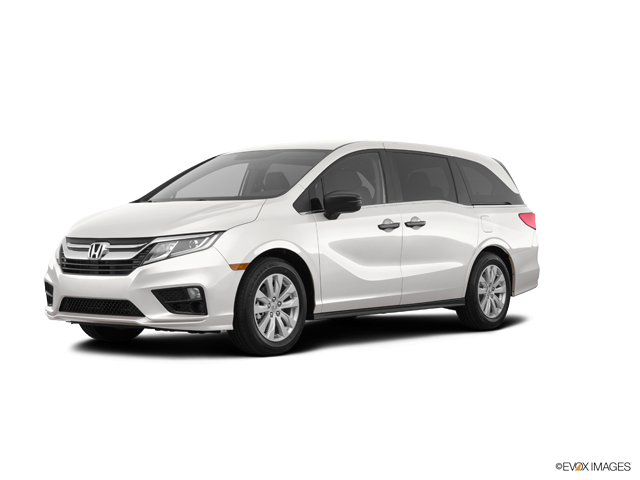 The 2019 Honda Odyssey is now available for sale. Visit our Honda dealership today for a test drive.